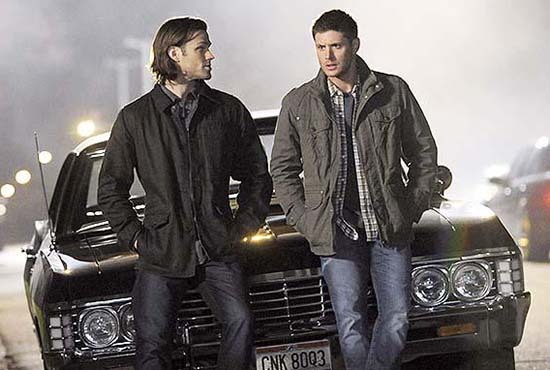 Sam and Dean get a lead on Kelly Kline’s whereabouts. Mick shows up at the bunker and decides to go with them. Mick has nightmares about his childhood and training to become a member of the British Men of Letters. A couple more British Men of Letters show up. Kelly is experiencing pain and makes Dagon take her to a doctor. They leave the office and a little while later the doctor is killed by a demon working for Lucifer and Kelly’s name is deleted from the patient records. Crowley thinks he has Lucifer under his control, but he couldn’t be more wrong. Lucifer is toying with him while he and another demon figure out how to get rid of the spells that Crowley has placed on him. Eileen heads back to Idaho to look for more clues to Kelly’s whereabouts. She fills Sam and Dean in on what she has found out, and then they come up with a plan to trap Kelly and get her away from Dagon. Sam calls her and disguises his voice and convinces her to come back to the doctor’s office to speak with the doctor. She leaves while Dagon is gone, and Dean is waiting for her and gets her into the car. Then they meet Sam, Eileen, Mick, and one of the new British Men of Letters members Renny Rawlings. Dagon shows up and throws everyone around. They start shooting her but the bullets don’t stop her. She grabs Kelly and starts to disappear. Eileen takes the colt and starts to shoot Dagon but the bullet hits Renny by accident because Dagon disappears just before the bullet hits her. Dagon handcuffs Kelly to a bedframe so she can’t leave again. Kelly tells her she is just worried about the baby. Dagon tells her the baby is going to be just fine but she’s not because she won’t survive the birth. Mick threatens to shoot Eileen. Dean and Sam convince him not to do it. He tells them to leave. He heads back to headquarters after receiving a call from Mr. Ketch but it was the other British Men of Letters member who wanted to see him. Her name is Dr. Hess, and she is the one responsible for the training Mick has received since he was a child. She questions him about why he didn’t kill the hunter that shot and killed Renny, why Sam and Dean don’t obey orders yet, and a few other things. He tells her that he is working on getting them to conform and it is taking time and that what Toni didn’t tell them was about all the people that Sam and Dean have saved along the way. She doesn’t care and wants them dealt with. Mick continues to argue with her and Mr. Ketch shoots him in the back of the head. She gives Mr. Ketch orders to kill every hunter especially Dean and Sam. Back at the bunker Sam asks Dean if he has heard from Cas. Dean says no and asks about Eileen. Sam tells him she split and is headed back to Ireland for awhile. Next week’s episode Sam and Dean investigate a missing person’s case that leads to finding out the town is hiding a dark secret.